Contact lenses have truly changed the game, especially for those of us who like dressing up and letting our hair down. Imagine having to wear glasses? After spending so much time and effort to create that perfect eye look? The horror! Not only have contacts liberated us from having to wear ghastly glasses, but they’ve also given us the blessing of being able to change eye colors like a chameleon! 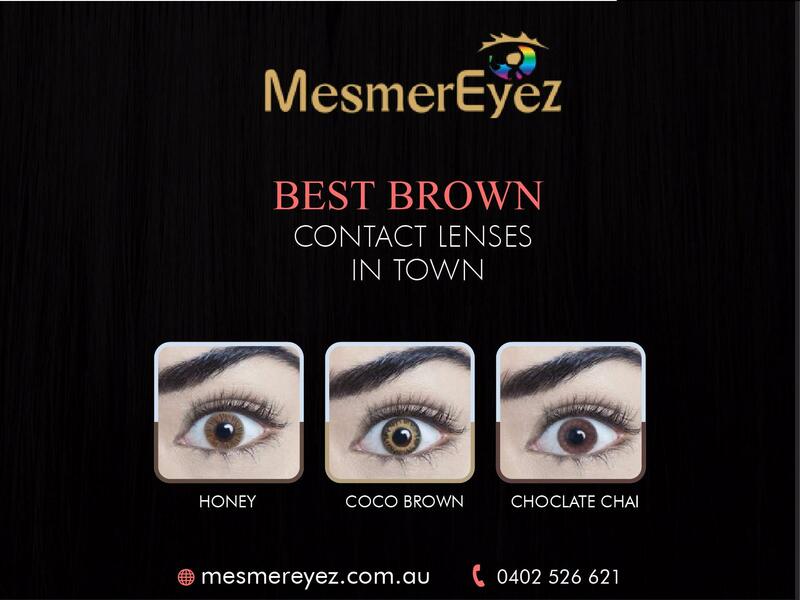 Contacts come in all colors; forest green, ash-brown, hazel even vivid blue contacts are easily available! However, wearing contacts, especially with makeup requires attention and care. Here are a few tips that will be helpful for sure! While this is pretty much a golden rule for life – here, however, it is exponentially more important. You’re literally putting your hand into your eye – it better be clean! Before applying contacts make sure to wash your hands thoroughly. Eyes are sensitive and need I remind you how essential they are? Should you apply contacts before makeup or after? Now, this is a very good question. Some might think contacts should be worn after makeup has been applied, so as to get minimal makeup to fall out on them. However, the truth is that applying lenses after doing your makeup has more of a chance of getting makeup onto your fingers and consequently on your contacts if you apply them later. Plus, think of it this way: you’re doing a gorgeous summery look with blue contacts, you definitely need them to see how everything goes together don’t you? Those of us who do wear lenses are also fortunate enough to have a wide range of ophthalmologist tested and hypoallergenic products to choose from. Always choose products that are safe while wearing contacts. So you want that beautiful eye look with blue contacts, a smoky liner? Go ahead, but make sure you do not apply eyeliner on the inside of the lashes. This can cause a blockage or an infection in the tear glands. The tear glands produce important oils, and the absence of these can lead to dry eyes, sties, and filmy lenses. It’s understandable that powder eye shadows have considerably greater fall-out than their cream counterparts. When wearing lenses, always opt for cream shadows to minimize any product getting onto them. If you do use powder shadows, use an eyeshadow primer. This can help shadows to adhere much better to the eyelid. Also keep your eyes closed while applying them and prior to opening eyes, dust off to remove as much of the fallout as possible. Stay away from oil based products. Oil based products can lead to irritability and ultimately can mess with your contacts and eyes as well. Therefore, use water-based products wherever possible. Lash building mascaras are a no-no! Lash building mascaras are equipped with fiber particles which adhere to lashes to make them look longer, thicker and fuller. However, the downside is that these particles can also get into your eye and onto your lens causing considerable irritation. Use simple, water resistant (rather than waterproof) mascaras. Clumpy mascaras should also be avoided for the same reason. While applying mascara, exercise due care by keeping the wand at some distance to the eye, start from the middle of the lashes and sweep through towards the ends. Eyelash glue can get into your eye, hence while wearing contacts, try to skip the fake lashes. If you do have to wear them, make sure you are an expert at handling the lashes and the glue. We have all been tempted to prefer our physical image over more important matters. However, where eyes are concerned, this is just not an option. If your eyes are at all swollen, red or infected – contacts are out! This is a particularly useful tip. When wearing makeup, wear dailies! Using fresh, clean contacts reduces exposure to allergy-producing agents. Removing contacts – and makeup! Always remove contacts before removing makeup. However gentle your makeup remover may be, there is still a chance that it could get into your eye, thus causing an infection or damaging your lenses. Need I say more? Keep your containers tightly closed to prevent the buildup of bacteria and toss out old makeup! Thick, cream based foundations are likely to cause immense irritation if they get into your eye. So use water-based and hypoallergenic options. Lid wipes are able to remove makeup much more effectively and are specifically more beneficial when removing heavy makeup. There are certain drops available on prescription that can reduce symptoms of irritation. However, with any irritation, it would be preferable to avoid the use of contacts altogether.